With the number of new STD cases in the US hitting an all-time high, taking care of your sexual health is more important than ever. If you have made the smart decision to get tested but cannot decide between Walk-In Lab and Personalabs , we can help you make up your mind in a matter of minutes. View our detailed Walk-In Lab VS Personalabs comparison below and find out which company can provide a higher quality of service and make the whole process less uncomfortable. Personalabs appeared in 2006, immediately partnering with LabCorp, one of the largest lab test providers in the US. The company takes great pride in its fast, reliable, and affordable services. Personalabs will only collect and use information regarding your symptoms, ordered tests, and final results. Your data will never be disclosed or shared with anyone except with the company's network of partnered physicians. The company utilizes SSL encryption to secure your connection with its website. Good service and very friendly user support. I had to wait around 10 days for my results! Great company but I think they should up the number of labs since I had to drive quite a while before reaching the nearest location. So many tests to choose from overwhelmed me a bit but a quality doctor's consultation really cleared some things up. 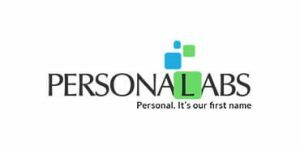 Personalabs is a reputable provider of numerous lab testing solutions founded back in 2006. The company partnered with LabCorp to bring more than 2,300 lab locations and 300+ different testing solutions to its users. Read our in-depth Personalabs review to learn more about its range of services and the testing procedures implemented by the company.